Accurate is welcoming 2016 with open arms looking forward to the possibility of another awesome season. 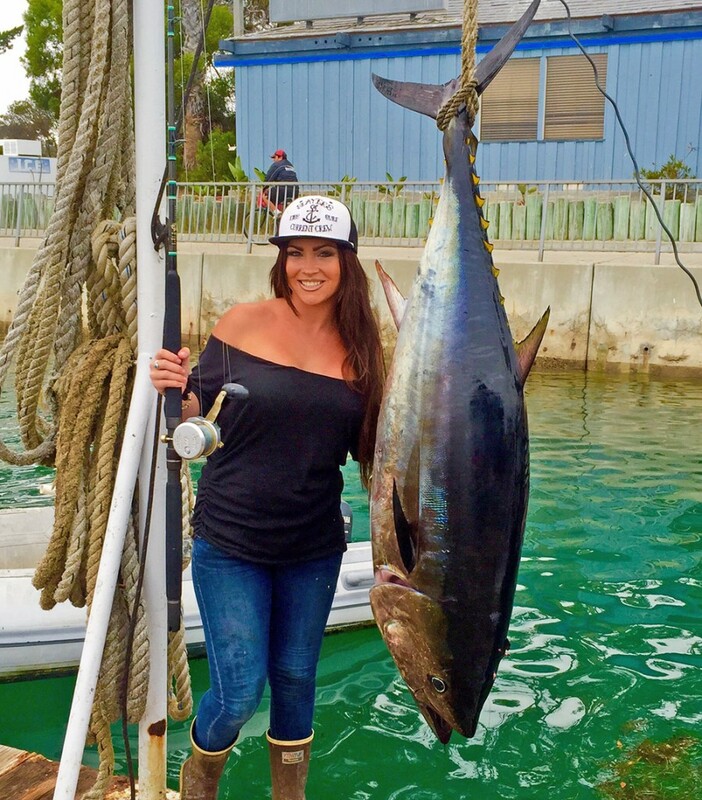 This year saw firsts for the west coast with larger blue marlin in excess of 600-pounds, bluefin tuna over 200-pounds, and an abundance of wahoo being caught a stone throws away from the beach. 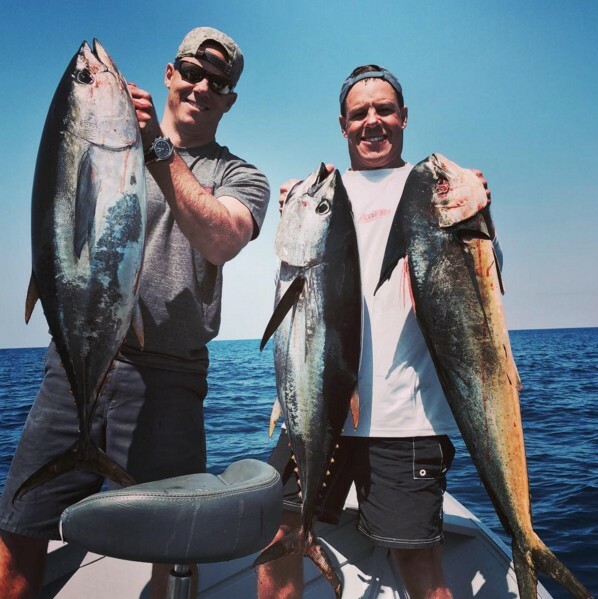 Not to forget the huge schools of bluefin and yellowfin tuna that were caught as close as 5 miles off the beach which introduced a whole new wave of anglers to the sport on both private and head boats. Whats in store for 2016? By no means have the pelagic gamefish moved out of the southern California bight. The local inshore waters have a good number of yellowtail on the hard bottom spots feeding on an infestation of red crab from earlier this year that are seen both on the beach and out to the yellow grounds in 200 to 300-feet. This last year does not seem to be coming to an end and with the information being put out by NOAA they are saying it will last into Spring 2016 which will see the possibility of the West coast experiencing the same exotic species for a another season. Can you handle another season of crazy fishing? I think so. 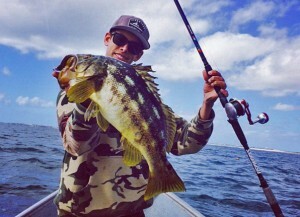 Fisher Quigley with a nice winter calico on the Valiant BV-300. I spent several days on the water with my kids between Christmas and New Years catching calico, sand bass, and yellowtail. During the holidays? Heck yes and with good results. I know El Nino brings crazy weather throughout the states but I have to say the fishing can be some of the best in a lifetime for the local anglers. Most anglers put their gear away for the winter but those willing to pursue the available gamefish can continue to catch year round. Some of the best weather is right in the middle of winter especially between weather systems. With the water staying in the low to mid 60’s these fish are acting feeding especially before the storm fronts which creates a dropping barometer that really puts them on the chew. You can look at local reports and figure out the day prior to the storm front and plan those days out. From my experience it does make a difference. If 2015 is any indication of what to expect for this upcoming 2016 year, the best piece of advice I have for you is prior planning with prevent poor performances. Make sure you have the right tackle for the job. So many fish were lost due to fishing the wrong tackle. Here are a couple helpful hints for the upcoming season. Our basic tools for the task at hand include a 2-speed 600N size reel (Fury, Boss Extreme, or Dauntless) with 50-pound braid and either a Seeker 70H, Calstar 700H, or Cousins CBJ 70H which this last year put many a tuna over hundred pounds on the deck. This setup works great with bait or jigs with a 4-foot flouro (40 to 60-pound) leader. Another rod for the school tuna to 50-pounds was a 2-speed 400 size reel (Fury, Boss Extreme, or Dauntless) with 40 or 50-pound braid with a 71/2′ or 8′ rod. 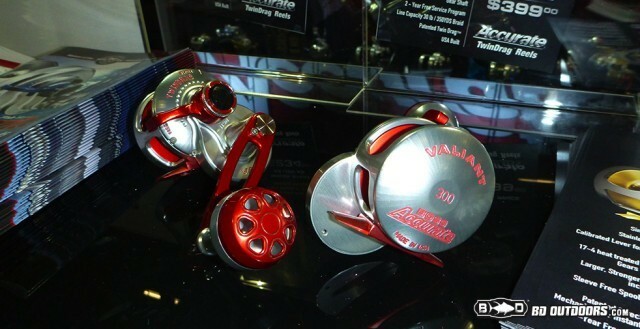 There are a lot of manufacturers out there with rods in this class just make sure its more parabolic than too fast. Rod that is too fast will turn into a very painful experience. The graphite glass rods are light weight and super strong at a very reasonable price. Manufacturers like Seeker, Calstar, and Cousins have a good selection. This set up will work excellent with bait or light jigs. Our last set up we used for smaller gamefish was the Valiant BV-300 with 30 or 40-pound braid on a Cousins 808HT trigger stick rod rated for 15 to 25-pound This setup was a blast and caught a few nice yellows as well as some tuna up to 40-pounds. A couple other tips would be to troll with 30 and 50 size trollers making sure you have plenty of line. If you have a 30 loaded with 80-pound braid and a 50 with 100-pound braid you can land some of the mystery bites that took place during the season. Use heavier leader to avoid any big billfish wearing through your leader. Again look for a rod that has a little action but enough back bone to put some heat on them bigger animals. Roller guides for at least the tip and stripper are pretty much staple product and a 7-foot XH rod works plenty good. Heard plenty of stories of guys in the smaller boats fighting bigger fish out of the rod holders so make sure you have a decent harness and fighting belt(AFTCO) on board. Make sure you have a fixed head gaff at least 6-feet in length with a solid 3″ or 4″ head. Not a bad idea to invest in a flying gaff which will make killing a bigger fish a lot easier without all the headache. Hope this information is helpful for the upcoming season. These seasons only happen a few times in a lifetime if we are lucky. Its always good to be prepared for all possible outcomes. Come on 2016. Hope to see a replay of 2015 with more prepared anglers able to catch those fish of a lifetime. Come visit us at the San Diego Del Mar Fred Hall Show and get ready for the season. A lifelong angler, Ben Secrest started fishing at an early age with his father and has spent a majority of his life pursuing game fish on both coasts and all over the world. 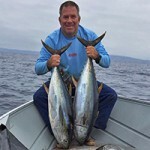 Ben has worked in the fishing industry for over 30 years and is presently the Vice President of Marketing for Accurate fishing products. (www.accuratefishing.com).